Human resources is the term given to the people who make up the employee workforce of an organization or company. It was initially used simply as a synonym for manpower or labour; latterly, with the advent of globalization, a cottage industry has grown regarding human resource strategy, as a way of enhancing business value through management of the workforce. The idea of human resource management (HRM, or HR) has its roots in the human relations movement of the early 20th century. Initially, the theory was applied more towards transactional processes, such as the administration of payments, holidays and benefits. Soon the focus would turn directly to the labor force, and the idea of workplace productivity began to take importance. A gradual change in HR policy meant that workers began to be view less as cogs in a machine, subject to unrealistic production demands, and more like an asset to the company, who can be trained and rewarded in order to provide even greater productivity in their work. Human resource management (HRM) is a professional discipline which oversees and manages an organization's human resources, and aspires maximize employee performance for an employer's strategic objectives. 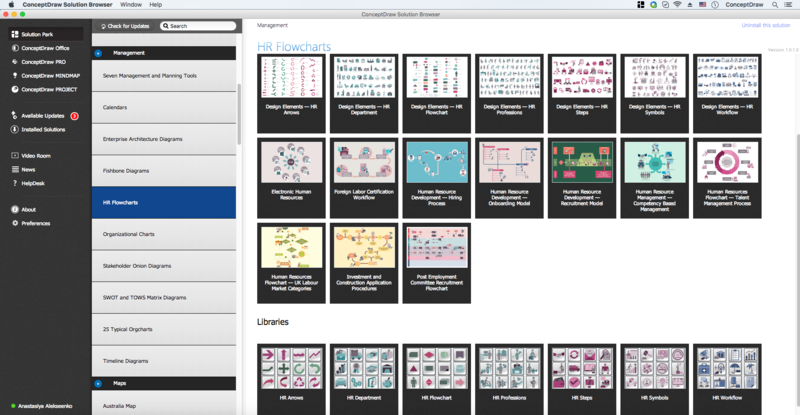 ConceptDraw DIAGRAM diagramming and vector drawing software extended with HR Flowcharts Solution from the Management Area of ConceptDraw Solution Park is a powerful HR Management Software. 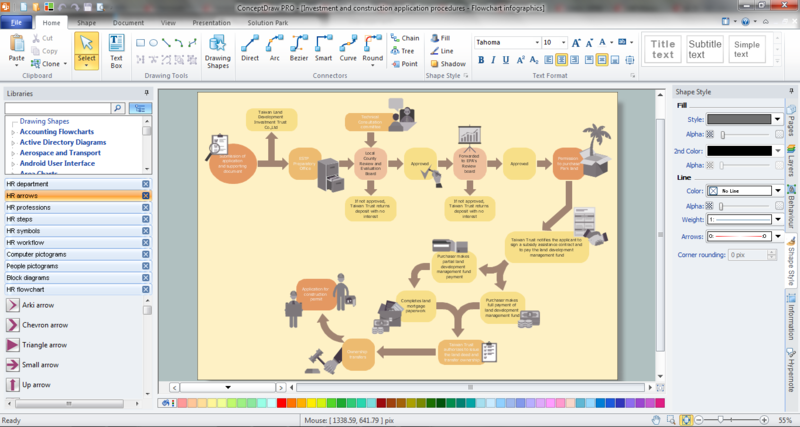 For depicting the onion model are actively used Stakeholder Onion Diagrams. 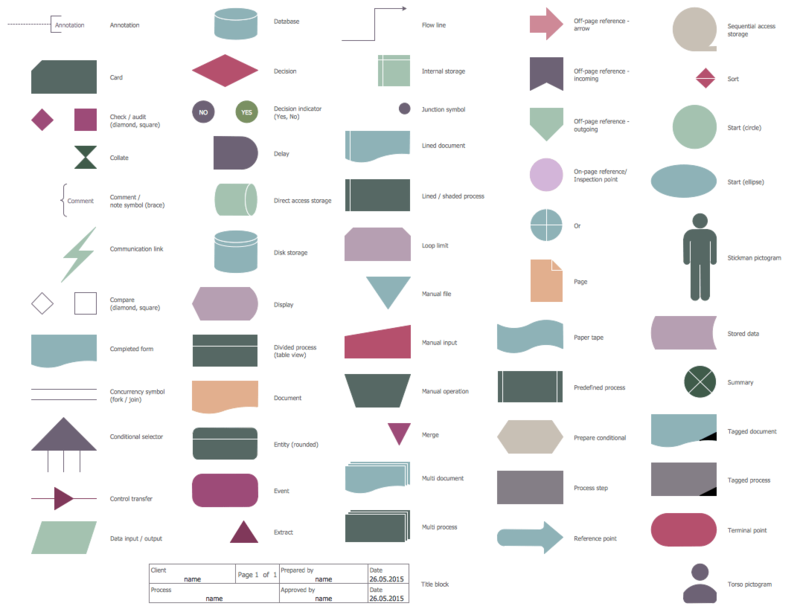 The ConceptDraw DIAGRAM v12 diagramming and vector drawing software extended with Stakeholder Onion Diagrams Solution from the Management Area of ConceptDraw Solution Park offers the number of useful tools and Stakeholder Onion Diagram template for their easy design.